Ask teachers what they think of cell phones in school and you are likely to get all sorts of verbal responses and facial contortions. Some teachers appreciate the global reach that cell phones provide, and the ability to have information at your fingertips. Phones can be used to share exciting classroom experiments through Snapchat, as a means to create portfolios in Chemistry class or to access a list of Albert Einstein’s all-time favorite books just because. But there are students who are constantly on their phones, virtually unable to put them away. They hide them under their legs, text under their desks or use the bathroom pass to finish posting their thoughts to social media. They are not using their phones for “educational purposes,” but are texting their friends, surfing pictures online or looking up the scores of the ball game. This inability to live without phones has become a frustration for teachers and a distraction for our students. Without a doubt, it is a balancing act for teachers and students. 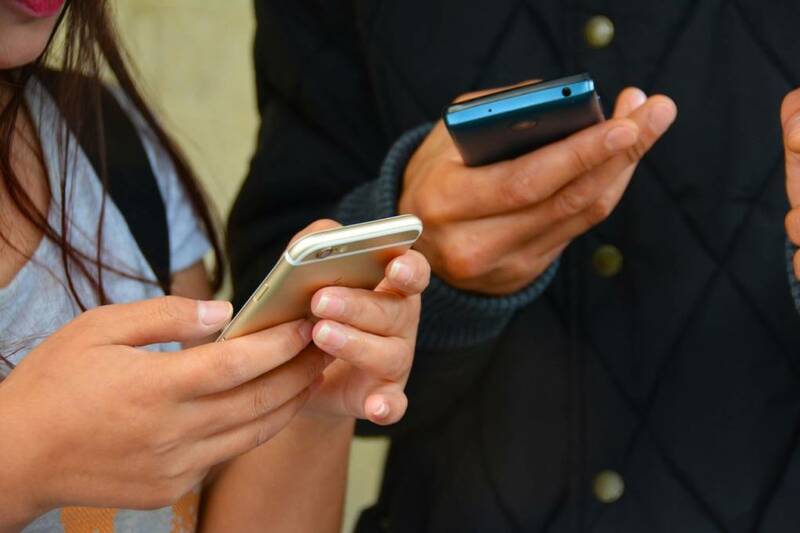 Most secondary students have six or seven classes a day; that means there could be six or seven different cell phone policies based on the discretion of the teachers. While all school districts have a cell phone policy, how that policy is “enforced” or not is what makes this balance so challenging. Teachers have designed clever ways to “seize” the phone from students: the pocket chart, cassette holder and playful phone “hotel” are just a few ways to help manage the phone crisis. But, the question remains: how do we balance information-at-our-fingertips with can’t-live-without-it dependence? Over the summer, I shared my question with some of my colleagues. We teach in a block style with 80 minute periods. What would happen, we wondered, if we decided to give our students a digital break every 30 minutes? Would students actually stay off the phone during class and focus on learning if they knew they could have unfettered access to their phones at regular intervals? Then we did the math: perhaps 30 seconds per 30 minutes would work. Students have four classes per day. The total is 6 minutes for the entire day. If all teachers were to invest in this idea, students would be allowed on their phones for a total of 30 minutes per week. We began referring to it as “30 4 30 Plan” and communicated our idea to other staff members. Some teachers thought it was a great idea, while others wanted to continue to utilize the pocket chart and phone cassette. As you use your phone for 30 seconds, the room must be quiet. You cannot hide your phone from me or any other teacher or administrator (this makes me uncomfortable and I will assume you are doing something bad!) as I/we walk around the room. You cannot call anyone on your phone and you cannot verbally answer your phone. However, like any new idea, there are questions and concerns: if implemented, are we going against district policy? How can one teacher monitor 30-35 students on their phones? Should an administrator be present during this activity? Should certain websites be off limits? Would students be able to send photos? What does “unfettered access” really mean? Empowering students to self-manage, knowing that they will be able to use the phone eventually, offers students the opportunity to demonstrate trust and focus in the classroom. Using the cell phone for educational purposes means that cell phones do have a place in the classroom, but using phones outside class activities for non-educational purposes is not okay. Instead of banning phones outright, which can send mixed signals when we also use phones as educational tools, the 30 4 30 plan offers a clear delineation between what is acceptable use and what is not. Allowing students access to their phone during regular intervals highlights the value of the phone, but limits the potential distraction, keeping it within a structured time and under a watchful eye. Peg, thank you for this thoughtful, creative solution to a major educational conundrum. I especially think the 30 4 30 technique would be extremely helpful to newer teachers who are experiencing a challenge managing most classroom procedures. It’s simple, fair, and puts learning at the forefront of class time. I love how you explore all sides of this issue and offer a viable option that individual teachers, instructional teams, or entire schools can use. Thank you, Robert. We’ve all been there and this is just one suggestion that hopefully, could help. Thanks again! While we’re at it, let’s give all adults–including line workers, surgeons, and food service employees 4 minutes of phone time for every 30 minutes on the job. “Self-regulation” teaching begins at childhood, not high school graduation.